Portable power banks can often be a necessity in life to keep us connected. I don’t think it’s a stretch to say most of us are very busy, always running around, and majority of that time is spent on our portable devices. Our phones, tablets could ALWAYS use more battery life. 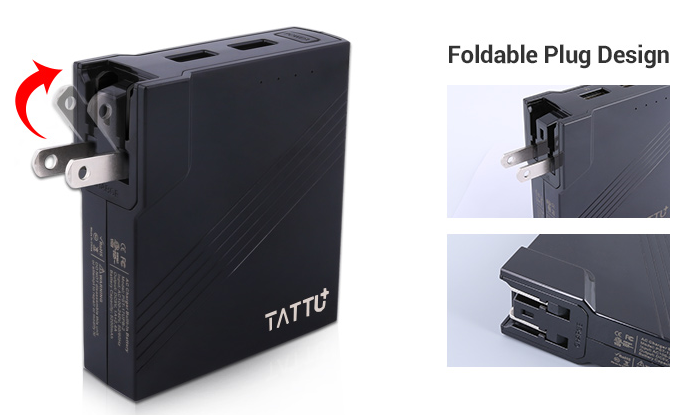 Today we’ll be taking a look at the Tattu Power Bank. This little black box sport a number of useful features. 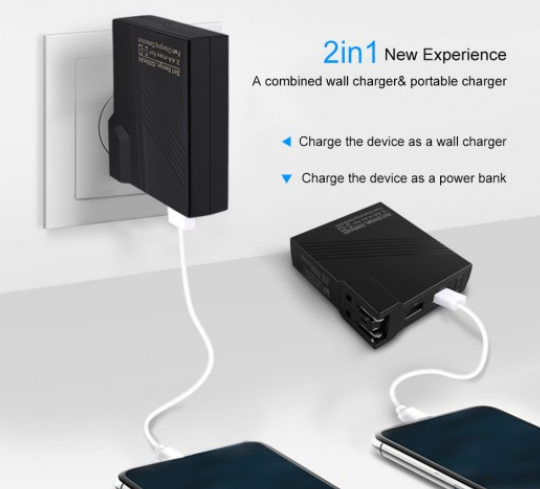 First of the features i’ll mention, is that it is both a wall charger and a portable battery charger. It’s capable of charging the power bank itself, and at the same time charge a couple devices using both included USB ports. This power bank is stuffed with Lithium-Ion 5200mAH of charging power, all compact in a small 3in x 3in x 1in sleek packaging. So take it on a flight, and bus, hiking, anything you enjoy. You’ll have enough power to get a couple full charges to your smartphone, and maybe more depending on the device of course. The power bank uses the standard Type A 110V outlet for charging, and it fold-able to hide away the prongs. It can be fully charged for travel within 1.5 hrs, so planning ahead for the day will keep you connected with you toss this device into your tote. Also included is Short-Circuit Protection, Over voltage Protection, Over current Protection, Over charge Protection, Over discharge Protection, and more. It’s nice to see a product give some attention to the safety concerns of the consumer, to keep people safe, and help ensure the life of their devices. I’ve personally be using it regularly during my day-to-day commute, and weekend travels. It definitely compact and convenient for everyday use. The price is just right, when you realize the value of this product in your daily life.In addition to all these features, you get the peace of mind with a 2 year worry-free warranty! 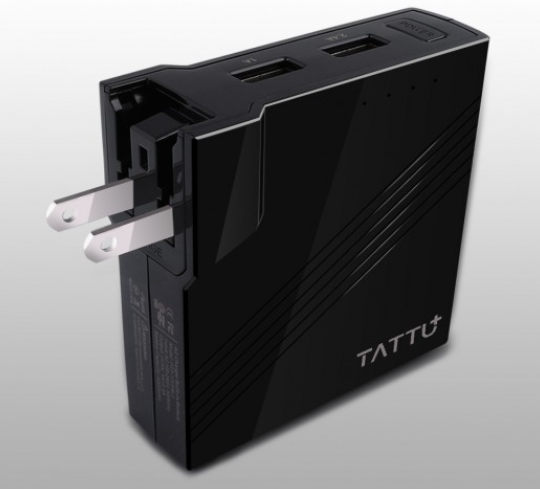 Overall, I’d definitely recommend this combination power bank and wall charger from Tattu.